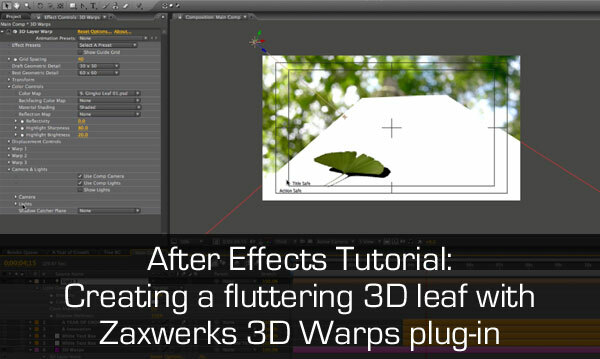 In this After Effects tutorial I’ll show you how to make a fluttering 3D leaf effect using Zaxwerks 3D Warps plug-in. I’ll show you several tips to speed up your workflow and quicken rendering and previews with the 3D Warps plug-in. I use particles and other built-in AE effects to create a realistic scene from a still image. And I also take a look at refining motion paths with After Effects graph editor to create smooth organic motion. All this, and more in this action packed tutorial!